It's time for another round of the aptly titled segment, THE AUTHOR INTERVIEW! In this episode, I'm thrilled to introduce you to fellow OneFourKidLit alumni, Joshua David Bellin, author of the YA dystopian, SURVIVAL COLONY. Here he is, to tell us a little about himself, his process, and his killer new book. I’m a writer, college teacher, fantasy film fan, and lover of apes and amphibians. (Seriously, my favorite movie of all time is the 1933 King Kong, and I spent nearly my entire childhood playing with frogs and toads.) 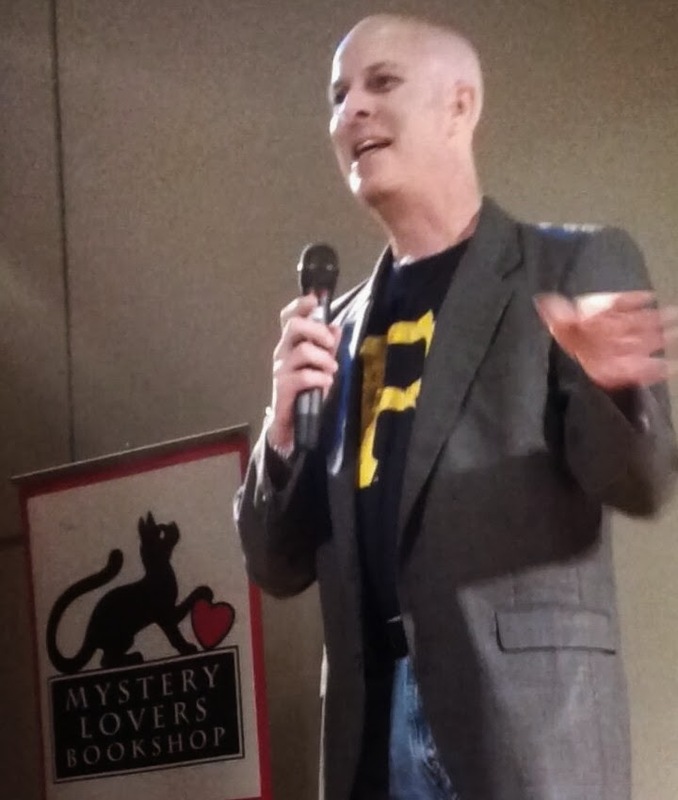 I live in Pittsburgh with my wife and two children, who are my biggest fans and first readers. I spend way too much time on the computer, but my fifteen-year-old daughter still thinks I’m a hopeless caveman because I don’t own a cell phone. You wrote a book? Awesome! What's it about? 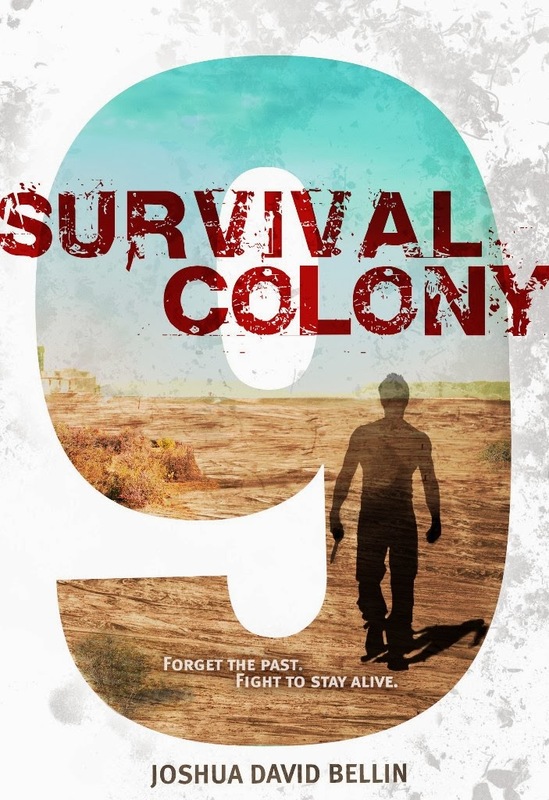 The YA science fiction novel Survival Colony Nine tells the story of Querry Genn, a teenager living in a future world that’s been devastated by war and environmental catastrophe. He belongs to a small mobile camp called a survival colony, which is all that’s left of human civilization after the collapse of governments and nations. The survival colonies are faced with near-starvation in a desert world, and that’s not all: they also have to evade the creatures called the Skaldi, monsters that mysteriously appeared on the planet after the wars of destruction. In Querry’s case, he’s got two additional problems. The commander of Survival Colony Nine is his authoritarian father, Laman Genn. And six months before the action of the book starts, he lost his memory during a Skaldi attack. If he can recover his past, he might be able to unlock the secret to defeating the Skaldi. If he can’t, he’s their next victim. Tell us a little about the process. How long did it take? It this your first book ever? What inspired you? Like a lot of writers, I’ve been writing novels from a pretty young age. I started my first novel at age eight, completed my first one (an epic fantasy inspired by Lord of the Rings) at age sixteen. I tried to get that one published, and when that didn’t work, I almost made the colossal mistake of handing over my life savings to a vanity press (until they sent me some of their books and I realized, even at the age of sixteen, that the writing wasn’t very good). When I graduated college there weren’t as many MFA programs as there are today, so I got a Ph.D. in English, taught college, published academic books and articles. But I always kept alive the dream of publishing a novel. And then, when I had a sabbatical a few years ago, I used the time away from teaching to take a class at a local MFA program and work on making the dream come true! How was your journey to publication, and what was it like when you arrived? I acquired an agent for Survival Colony Nine at the tail end of 2011, but we had to part ways when it turned out we didn’t share the same vision for the novel. (Hey, it happens.) I queried again and found another agent, the fabulous Liza Fleissig of Liza Royce Agency, by late 2012. From there, it was a matter of revising for submission and waiting to hear back. We got an offer from Karen Wojtyla, senior editor at Margaret K. McElderry Books, in early 2013. I’ve got to be honest: when Liza called me about the offer, my reaction was . . . stunned silence. I’d been dreaming of being a published novelist since I was eight years old, so to learn forty years later that the dream was about to become a reality was almost too much to process. After the shock wore off, though, I started doing a happy dance, and I haven’t stopped since! Any advice for would-be writers just stepping out? My best advice is to be wary of overly restrictive advice about how to tell your story. There’s some really wretched advice out there like, “never begin your novel with a character waking up” or “always end each chapter on a cliffhanger.” As a writer and a teacher, it drives me crazy when I read advice that tries to make writing seem like a paint-by-numbers set! (Never begin your novel with a character waking up? Where does that leave The Hunger Games?) There are many common-sense things you can do to develop the craft of writing, but when people start telling you there’s a single “right” way to tell a story, you should tune them out and just start writing.